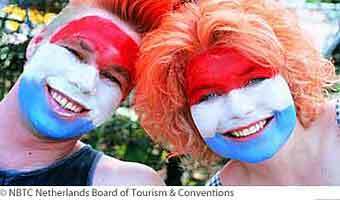 The Dutch love their beaches and the sea. Although the weather in the Netherlands is not always as nice as in southern parts of Europe, the crafty Dutch have managed to make their seaside resorts attractive to visit all year round. 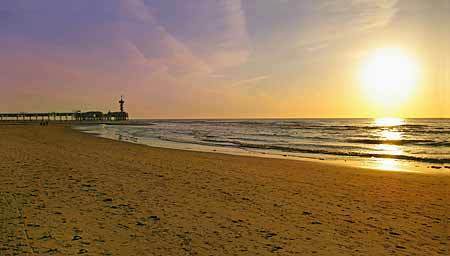 Scheveningen has 11 kilometres of beach and every year in early spring pavilions are erected along the beach. Although these structures are only temporary, they do not lack diversity or style. They are stylishly white, have an Asian or Mediterranean feel, or are rustic and welcoming. All of them are specially designed to enjoy the first sunshine of spring by providing sheltering glass screens to protect you from the wind. In summer the beach transforms to a real Eldorado for sunbathers. You can take your own towel and windscreen or rent a chair. Even here you have ample choice; you can rent an ordinary foldable beach chair, a sun bed or go for a luxury VIP bed. 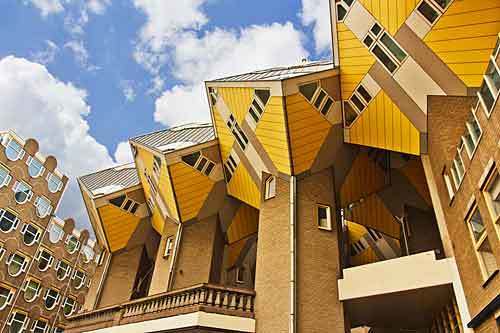 But Scheveningen is not only a resort for sun bathers. There are many beach sports to participate in or watch. 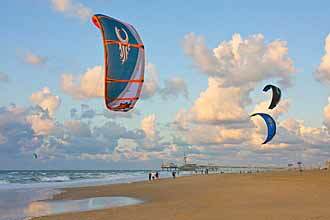 Besides windsurfing and flying kites, you can bungee jump or climb the climbing wall on the beach. There is also a Beach Stadium where international events such as Grand Slam Beach volleyball and FIFA Beach soccer matches take place. 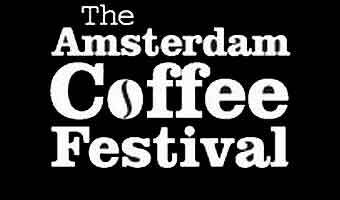 As per usual in the Netherlands the food and drinks are of the highest quality; hot chocolate and homemade Dutch apple pie, a hearty pea soup with smoked sausage, a classy cocktail with a snack, or a culinary feast like crayfish in cantaloupe as a starter and a big boy steak as a main, you name it and they serve it. 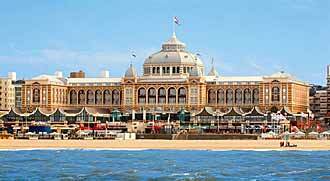 If you visit Scheveningen on a day that the sun does not shine you do not have to worry as there are plenty of restaurants on the boulevard. Historically Scheveningen is a fishing village and it still has a harbour with a fishing fleet. If you like to eat good fresh fish Scheveningen is the place to be. 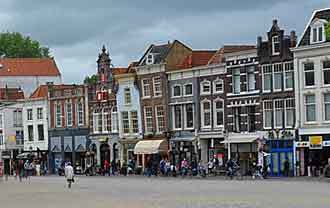 The local speciality, which is enjoyed all over the Netherlands, is salt herring. The Dutch love it and if you are not too scared of eating salted but raw fish you should give it a try. You should pick it up at the tail and hold it above your head and slide it into your mouth taking small bites. But if you do not want to get your hands dirty the fishmonger will be quite happy to cut it in bite size pieces and give you a cocktail stick decorated with the Dutch flag. 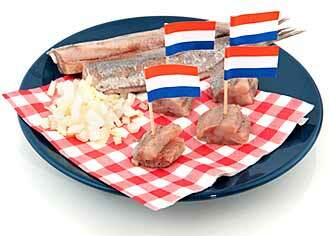 Every June a festival in honour of the first herring caught takes place in Scheveningen. It is named “vlaggetjesdag” after the cocktail sticks; small flag in Dutch is “vlaggetje”. 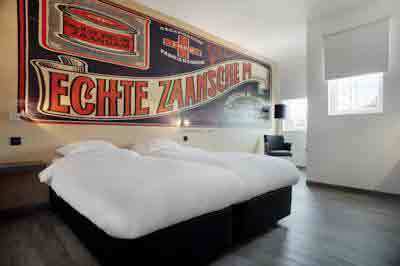 Make sure you do not miss a visit to the grand hotel “Het Kurhaus”. Built in 1885 it was originally a concert hall and a hotel. Nowadays it is a 5 star hotel Steigenberger Kurhaus with the concert Hall transformed into a stylish restaurant and a bar. In the bar you will still find the portraits of the stars who have performed here such as Maria Callas, Marlene Dietrich, Duke Ellington and Edith Piaf. 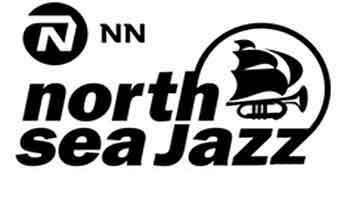 This is a place that has attracted many artists and is full of art. The famous Dutch painter Hendrik Willem Mesdag is one of those artists. In 1881 he, and members of The Hague School of Painting, painted the biggest painting in the country. The 120 meter wide panorama painting depicts 360 degrees of the beach and village as it was in the late 19th century. It measures 14 metres high and is lit by natural light via a glass dome in the centre of the building. As a spectator it is easy to imagine that you are standing on a hill being able to see the beach and the village as it used to be in the nineteenth century. The colours of the painting change depending on the weather outside. In modern times the town still attracts many artists. 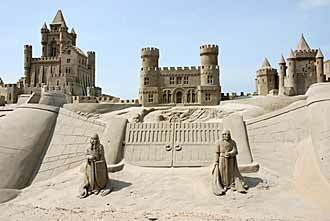 They make enormous sculptures out of sand which surpass in both size and detail many sand castles made on Mediterranean beaches. Like its big brother, The Hague, Scheveningen is also a place where you can admire bronze sculptures. The exhibition “Sculptures by Sea” exhibits modern contemporary sculptures with its theme being fairy tales and legends about the sea. There are three big sculptures such as a 12 metre high sculpture of “The Herring Eater”, the giant from Gulliver’s Travels, and 20 very cute small sculptures on the boulevard.